Clearly this is only my personal opinion, but I reckon I’m not the only one in this boat. In Flames started out in 1994 with Lunar Strain. In all honesty, the album is nothing special at all and not really promising or indicative of what was to come. It was metal. It was fine. But that’s about it. However, this was a turning point for Gothenburg melodic metal. Anders wasn’t in the band, Jesper played drums, and Dark Tranquility’s Mikael Stanne was the singer. When you think about it, this really wasn’t In Flames. Two years later, In Flames found themselves with The Jester Race. This album, along with the next three albums would embody what Gothenburg’s melodic death metal was all about. They cranked out Whoracle, followed up by Colony, and finally Clayman at the zenith of In Flames awesomeness. I think Colony is precisely where In Flames solidified themselves along with the pristine lineup of Stromblad, Gelotte, Friden, Iwers, and Svensson. 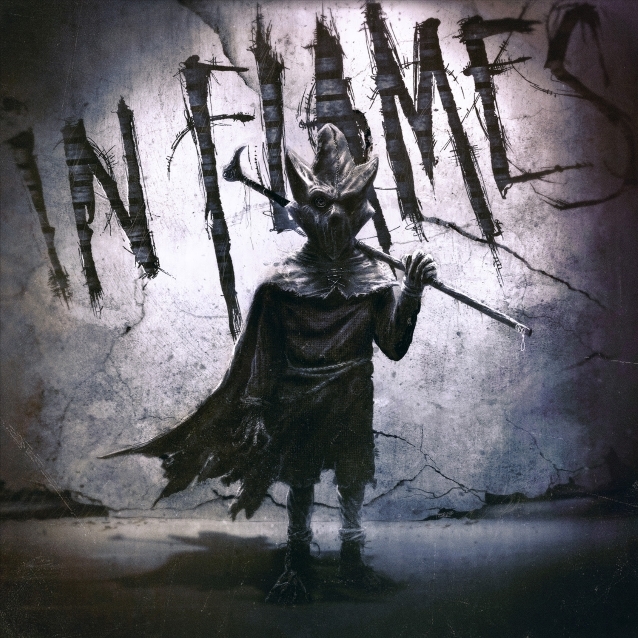 THIS is the In Flames I love. On a slight side note, I remember in particular sitting in my friends 1995 red Acura Integra, cruising around town like cool high school kids do blasting In Flames with an unnecessary subwoofer because that was the cool thing to do. However, I remember both of us commenting on how freaking insanely awesome In Flames is. We noticing even if they took out the awesome guitar melodies, the rhythm guitars were strong enough to stand on their own – and vice versa. Goddamn, this was good music. In 2002 they released Reroute to Remain. It was a solid record. Not quite as tastefully melodic as the previous album as it was a little more straight forward heaviness, but still good. This album had a little more “experimentation” for lack of better terms with some electronic sounds that worked out well – like on “Cloud Connected” which is an awesome song. Follow this up with Soundtrack to Your Escape, which to me, feels like a natural extension of Reroute to Remain, and then onto Come Clarity which seemed to pull from some “older” elements of In Flames crossed with mostly newer sounds. However, up to this point, everything was still In Flames and palatable to an In Flames fan of any era (although I know there are those who disagree and think Clayman equates to the Black Album if you want to liken it to MetallicA’s trajectory). Up next was a big test. The first album, Sounds of a Playground Fading, without founding member, Jesper Stromblad. How much of the writing previously did Jesper do? Could Bjorn handle the guitars by himself? What dynamics would have changed? All good questions. When the album was delivered, I was pleasantly surprised as there are certainly some good nuggets in there. This seemed like a somewhat natural extension of ASOP. 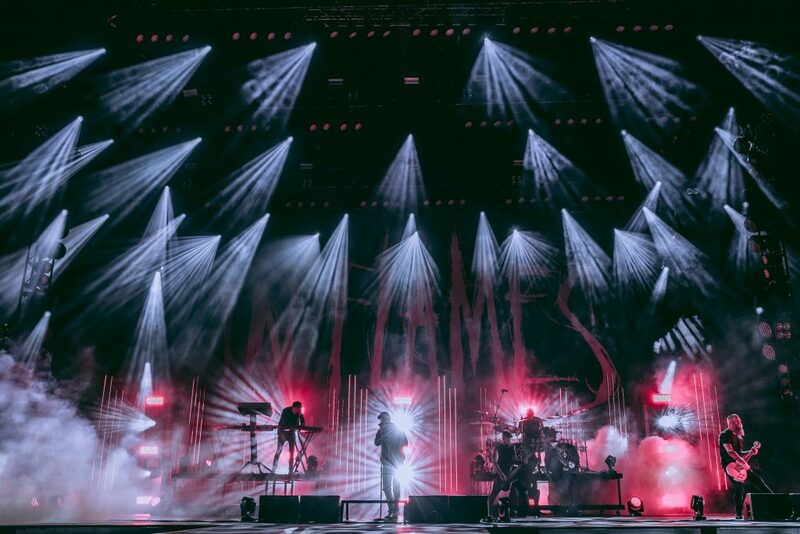 The In Flames train, at this point, continues to derail from the classic Colony era, but ever so slightly from one album to the next, each progression is not too extreme. Then came Siren Charms. I’m not really sure what that is, but it’s something they put out. After that was Battles, which is solid music, as is the entire IF catalog, but it’s not the In Flames that I want. It’s a far cry from the 90’s era sound of this glorious band. Maybe this is what happens as you age in life? But then again, a band like Slayer is well into their 50’s and still pumping classic Slayer sounding songs. To get on my high horse and hide behind my keyboard, some other things to consider that align with the shifting sound are Anders looking like a hipster from Philly (this is not a compliment), Bjorn cutting his luscious locks, and Peter and Daniel jumping ship. I feel like my family is falling apart. Up next will be I, The Mask. Any smart person would know what’s coming. It will be a natural progression from Battles, but this isn’t what I want. And everything should be about me and what I want. “I Am Above” gave me a glimmer of hope – only to be dashed by “(This is Our) House”. I know what’s coming, but I’ll continue to live in fantasy land and dream for the days of old. **This was written before the release of I, The Mask – hence the obviously “forward thinking” comments.